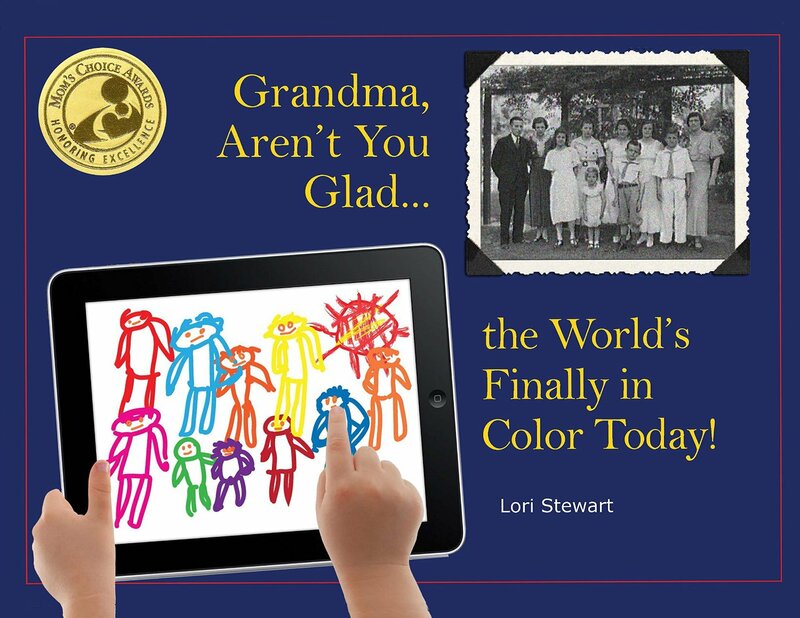 GRANDMA, AREN’T YOU GLAD…THE WORLD’S FINALLY IN COLOR TODAY! We all can imagine what children think when they first see the old black and white family photos hanging in the hallway, framed on the mantle, or carefully tabbed into place in the family photo album. It s certainly enough to make grandchildren say, Aren’t you glad the world’s finally in color today!Grandma, Aren’t You Glad The World’s Finally in Color Today! is a story in rhyme that takes readers on a then and now journey through time. Narrated by a grandmother, the story compares her own mother’s life and times to those of her grandchildren. Side by side vintage and full color photos contrast fashion, schools, transportation, entertainment, technology, culture and the arts from the Great Depression and World War II years to those of today. This book creates an opportunity for readers to share their own family tree, and gives grandparents a way to start conversations about who we are and where we came from, and fulfill their role as family historian. GRANDMA, AREN’T YOU GLAD…THE WORLD’S FINALLY IN COLOR TODAY! LORI STEWART is a Family/Multi-Generational Children’s Book. A most unusual and impressive way for Young Readers to learn how today’s world has changed. With, vivid pictures, and the use of a rhyming theme, makes this an impressive tale. Grandparents are sure to enjoy sharing this title, along with their own memories with their grandchildren. It is amazing how the world we live in has changed. Educators, Librarians, Parents and Grandparents, this is a must have book. One to keep and treasure with your Young Readers. I feel, while, the pictures are great for Children ages 4 and up, the wording is a little too advanced. This title is more for Young Readers a little more advanced in their reading skills. A well thought out story. Well worth the expense and the time to share.